The SmokeTip e cigarette brand offers very competitive products at amazingly affordable prices. 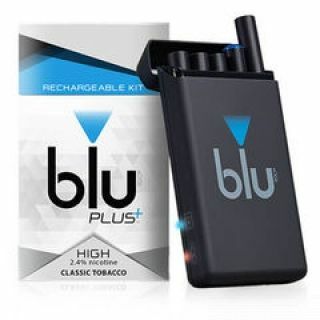 They offer only one Starter Kit that includes 2 batteries, 5 nicotine infused flavor cartridges, USB & wall adapter, all of them packed in a nice gift at the very reasonable price of $59.95. 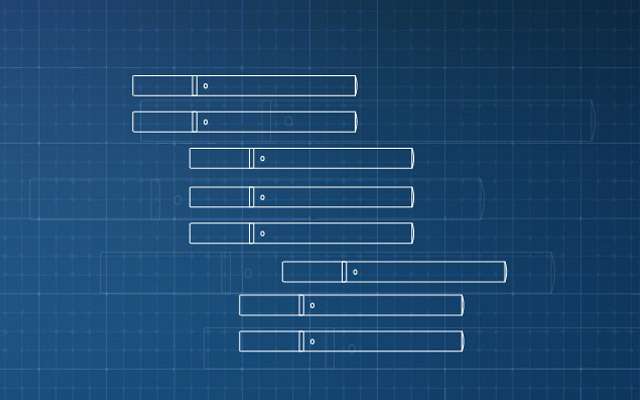 Instead of creating ten different Starter kits, they focus on making the best one available and they always add improvements to it, according to the market’s demands. 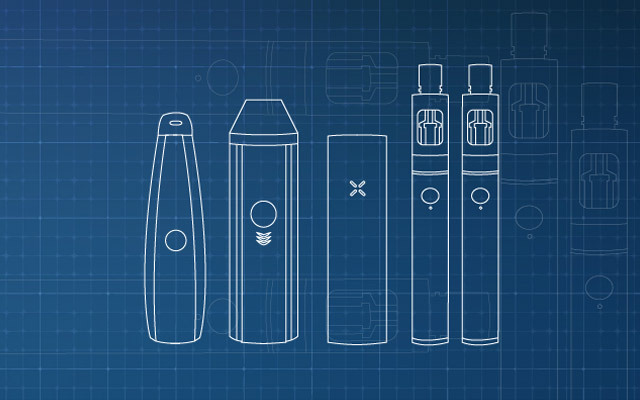 The electronic cigarette promoted and sold by them follows the two-piece design, which they called the “Eazy-Drag System”, and is of excellent quality. They offer a solid device with many pleasant features. As opposed to other e-cig brands, the Smoke Tip e-cigarette does not make any disturbing noise when you puff on it. Also, the amount of vapor released can easily be compared to the smoke produced by analog cigarettes but, it has the advantage of being tar, chemicals and odor free. Tip: If you want to give these ecigs a try you can always go for the less expensive trow away e-cigs. There are some brands that make sure that, next to regular starter kits. 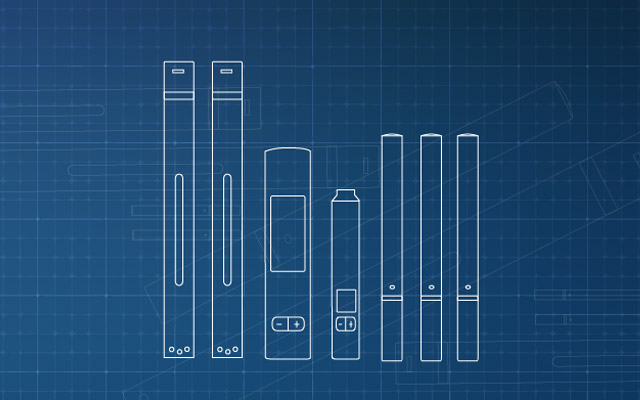 They manufacture the best disposable e-cigs in case a potential buyer wants tor try out first. 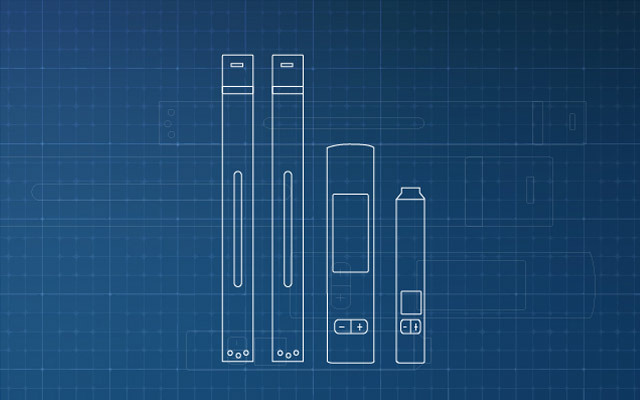 The cartridges used in the SmokeTip E cigarette are superior to other brands in many ways. For instance, they have rubber caps on both ends to ensure their integrity, and they are wrapped in cellophane in order to maintain a fresh taste. Also, when the solution in the cartridge is running low it will get really warm, as a measure of warning you that the cartridge needs to be replaced. Smoke Tip offers refill cartridges in packs of 10 for only $19.95; this will last as long as 1.25 packs of traditional cigarettes. In addition to this, they offer a range of 19 flavors from which to choose your favorites, and four different nicotine levels. The tasty flavors available for purchase are: Almond, Strawberry, Menthol, Vanilla, Cinnamon, Banana, Mild Menthol, Orange, Chocolate, Apple, Regular, Cowboy, Cherry, Clove, Coffee, Grape, Peach, Pineapple, and Watermelon. As an extra possibility you can choose to purchase an Assortment Pack that includes various flavors for you to try. Also, when you buy three or more 10 Packs, Smoke Tip will also offer you a free battery. 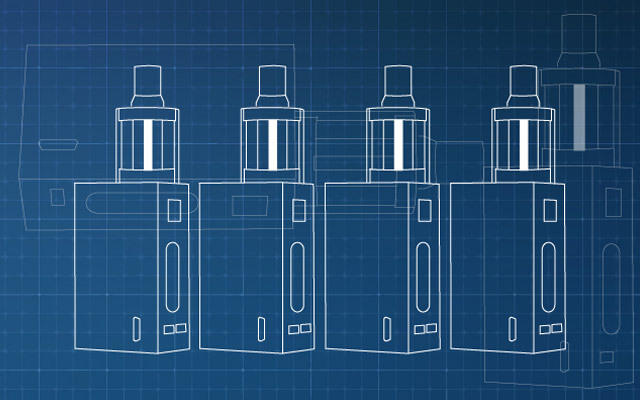 They sell an improved e-cigarette model, available in great tasting flavors and offering high quality control. Other than that, you get free shipping for your products and an amazing lifetime warranty for batteries. To this they also add a 30 day money back guarantee, as well as a top notch customer service with 24/7 phone support. 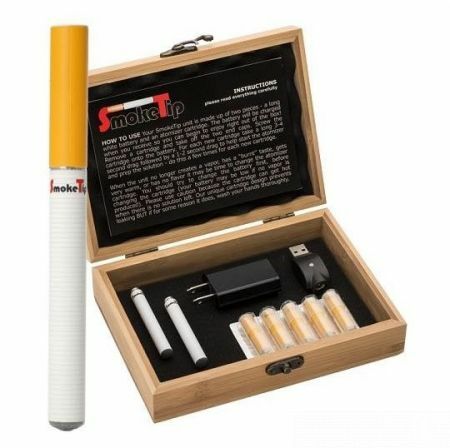 Smoke Tip Electronic Cigarette offers tremendous vapor volume, rich flavors, and a very well-constructed kit for you to enjoy.